“My father had a bad back and could hardly move when he was in his 60s; how do I make sure that’s not me when I get to be his age?” PTs (Physical Therapists) hear this question a lot when working with patients. There may be a lot of contributing factors which caused Dad to ache and become stiff and quite honestly, an exact answer on why this happens is difficult to give. But, it is not surprising that this Dad, or Mom, has back pain given what we know happens to our backs as we age. So to the thirty-something year-old patient who comes to me with “early” back pain, we get to have “the talk”. The acute pain a person feels when they strain their muscles or twist in such a way as to cause injury to the disc via a bulge or worse, a herniation, is but a warning sign. While it is an overreach to say that once the back has been injured it always will be, it is fair to suggest that since we know the natural changes that will occur as we age like arthritis, decreased flexibility and decreased muscle strength, these changes demand that we do something at an early age to alter the natural aging process. So “the talk” is really just a plan of what to do to make sure you don’t end up like Dad. As a PT, I can poke a patient in just the right spot to elicit pain. And their response is always the same…"how did you know right where to push?" Well, to be honest, it’s easy. PTs are musculoskeletal specialists after all so really, we should know just where to push. But the reality is, there are two muscles that keep me in business. The culprits are the hamstrings and the piriformis. These two muscles cause a significant amount of back pain when they are tight. So the plan then is centered around improving the flexibility of them to afford the patient increased flexibility and improved function. Of course we address posture because standing or sitting in a slumped position can strain other muscles and even apply pressure to discs, which also causes pain and increases symptoms. 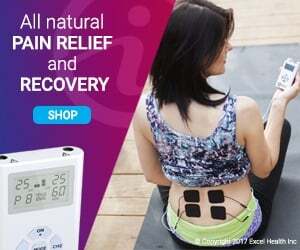 And, we use Electrical Muscle Stimulators and TENS to treat the acute or sudden type pain that made them come to my office for treatment. Today’s healthcare climate forces patients to look for alternatives when an injury pops up. The injuries are the same but our access to PTs and other healthcare professionals can be limited. Knowing the back will naturally change over time should push us to act now. Managing back pain today means preventing future back pain. Today's OTC pain relief tools are better than what I used in my clinic for the last twenty five years. The exercises remain the same so it has never been easier to take charge of your back and start your own plan to delay the inevitable changes that led your Dad to be stiff and in pain. Joe Noel, PT has been a licensed Physical Therapist since 1990. Joe has treated over 7500 patients in that time seeing everything from back pain to total joint replacement patients. A former collegiate athlete, Joe manages all of his patients with the same goal-to get them back to good health and back in the game. Physical Therapists enjoy a well deserved reputation as rehabilitation specialists and today's PTs are advising patients in all areas of health, both in and out of the clinic. Joe consults with individuals and companies on areas of health and wellness and works with iReliev to strengthen their clinical presence in the areas of pain management and return to life activities.